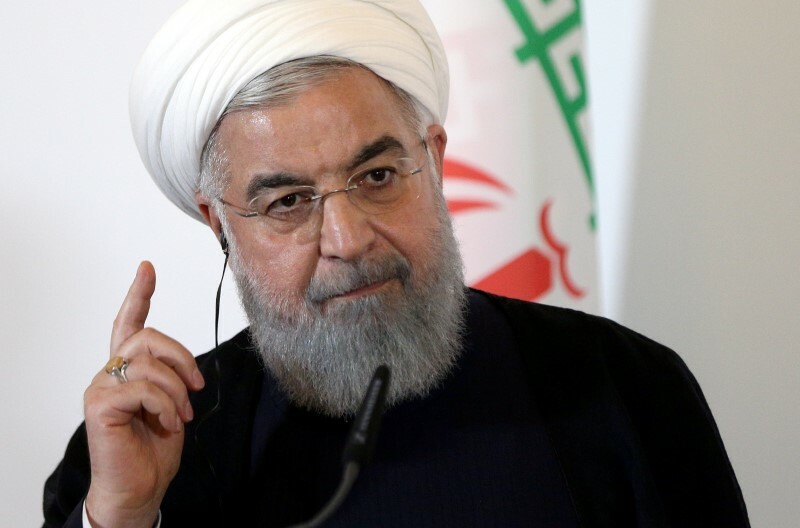 DUBAI (Reuters) – Iranian President Hassan Rouhani said on Saturday the United States was more isolated than ever over sanctions against Iran, even among its allies. Rouhani, in remarks carried live on state television, spoke after meeting the heads of parliament and the judiciary. He appeared to be trying to ease popular concerns fueled by U.S. President Donald Trump’s decision to withdraw from world powers’ 2015 deal with Iran on its nuclear program. “Today, we are in conditions in which the United States is more isolated than ever over the sanctions issue. America’s illegal actions … have even isolated it among its own allies as we just saw,” Rouhani said, referring to protests held in Britain against Trump’s visit there. “The government pledges to the people that there will be no problems for the country in terms of energy, transportation, basic goods and production,” Rouhani said. Hardliners in parliament have opposed passing legislation towards compliance with FATF standards, arguing it could hamper Iranian financial support for allies such as Lebanon’s Hezbollah, which the United States has classified as a terrorist organization.